Lokanta is a genuine Turkish restaurant in Warsaw. From May 2017 in a completely new form. 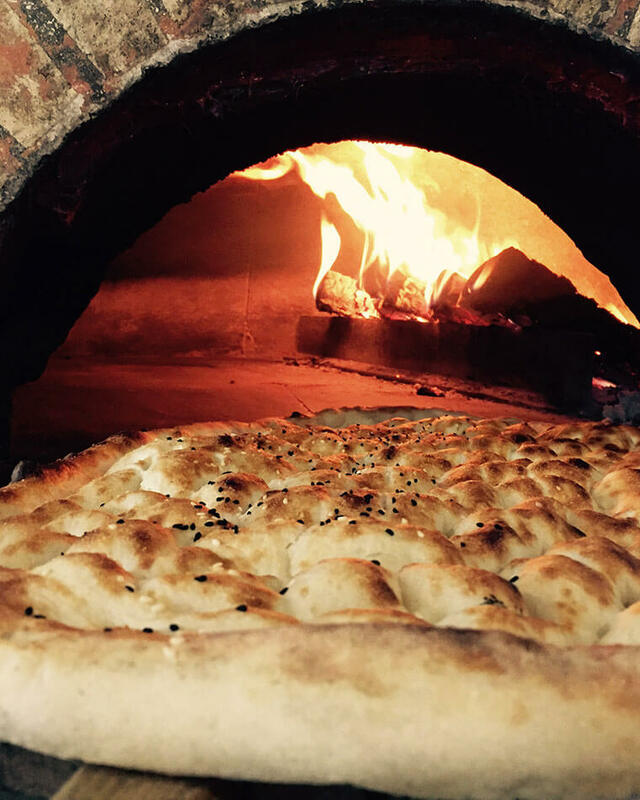 Imagine a visit to a Turkish restaurant smelling of mint, bay leaf and fresh bread straight from the oven, which tempts with the aromas of fennel. Supplemented with brightly coloured walls, atmospheric music and location known to all Warsaw citizens – next to the Roma Theatre – this is a new image of Lokanta. Every day from 11.00 a.m. we serve delicious breakfasts! For those who have not managed to munch anything on the run, at 11 o'clock we start serving breakfast with the best specialties of Turkish cuisine. Sucuk sausages and deliciously smelling eggs served with olives, fresh vegetables, cheese and honey will satisfy your palate in the morning. Lunch – every day from 12.00 p.m. to 4.00 p.m.
Do you need a dose of energy during work? Stop by for lunch. Our lunch offer is waiting for you from 12 p.m. to 4 p.m. and you can choose a portion of meat (including lamb) or fish with vegetables and rice or bulgur. A visit to a Turkish restaurant for Sunday breakfast? It sounds like a plan! Feel invited to an open breakfast buffet from 10 a.m. to 1 p.m. Enjoy Adana kebab that is finely chopped lamb. 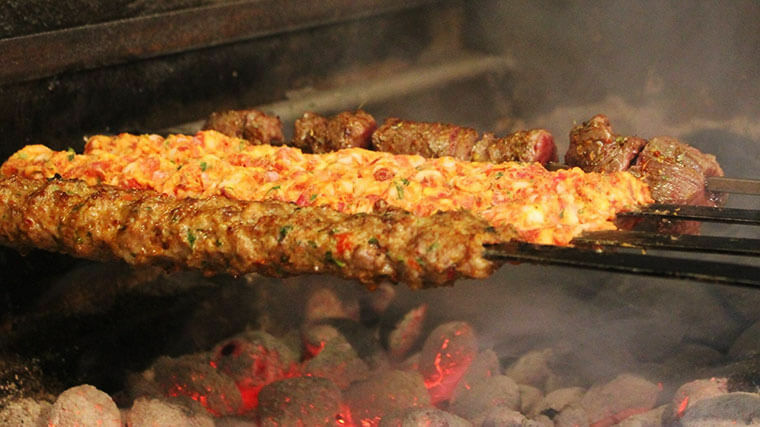 Kebab is the first dish that comes to mind when people talk about Turkish cuisine. In our restaurant we serve it in the Adana version – it is a Turkish kebab from finely chopped lamb, which after seasoning is grilled on a sword. Drinking tea in Turkey is, above all, rich tradition cultivated for centuries. Strong, black, brewed from leaves with or without addition of mint – tea is drunk by the Turks anywhere and anytime. 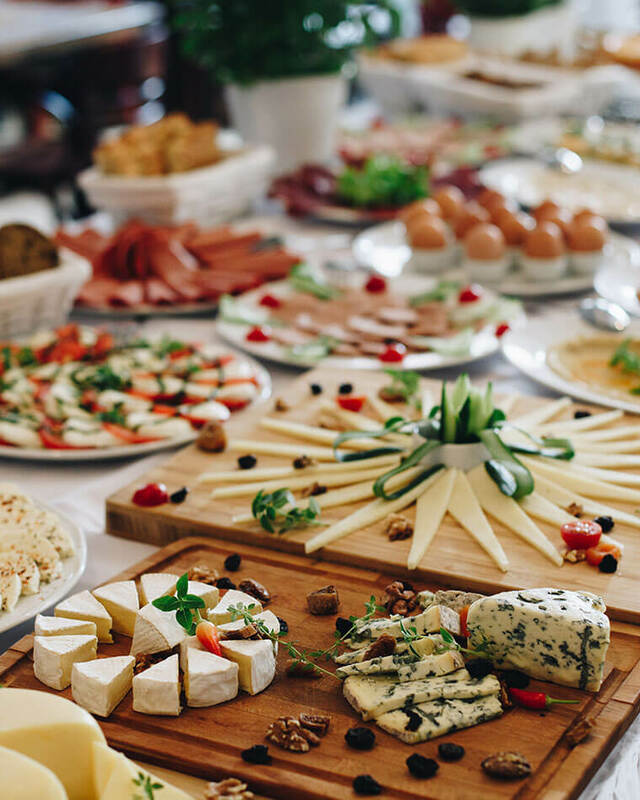 However, this is not all – the Turkish cuisine is also famous for its delicious desserts rich in pistachios and sesame seeds wrapped in thin dough that melts in your mouth. Even if you are fit, you will not find anything better than Turkish desserts – after all, nuts are very healthy. 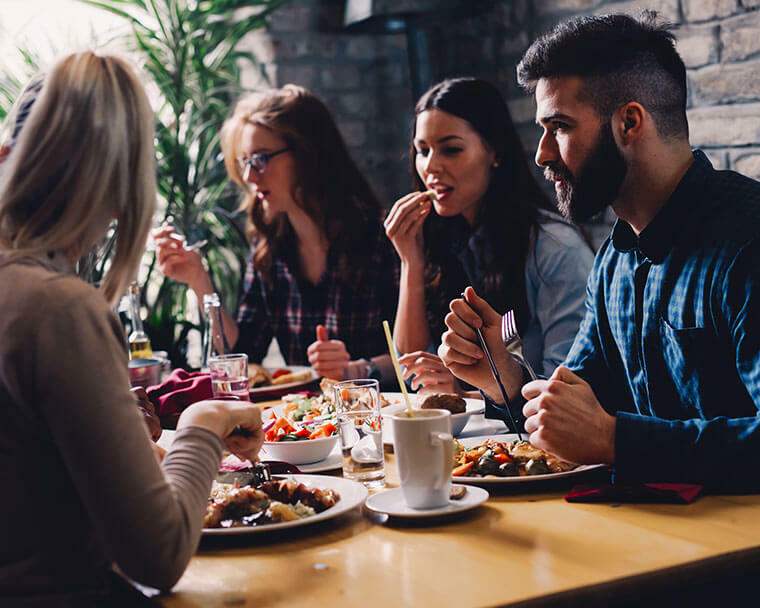 Take your friends for a city tour and immerse yourself in the Turkish cuisine. Our restaurant is also a perfect place for an evening sitting party with friends. A wide offer of appetizers, aromatic and delicate grilled lamb, fish, lettuces – they all will make you love the Turkish cuisine and enjoy every dish until the last bite. Are you planning to watch a match with other football fans? Don’t hesitate and come – you will not leave hungry, that’s sure. Our Turkish restaurant is friendly to parents with children! In Lokanta, you will not only spend special moments surrounded by Turkish cuisine specialties, but also introduce your child to new flavours, thanks to which your offspring will leave well-fed and with a huge grin on the face. Thinking about moms who want to take a break from cooking at weekends, we prepare delicate meat, perfectly cooked white rice, lamb chops with a bone or skewers on a stick. 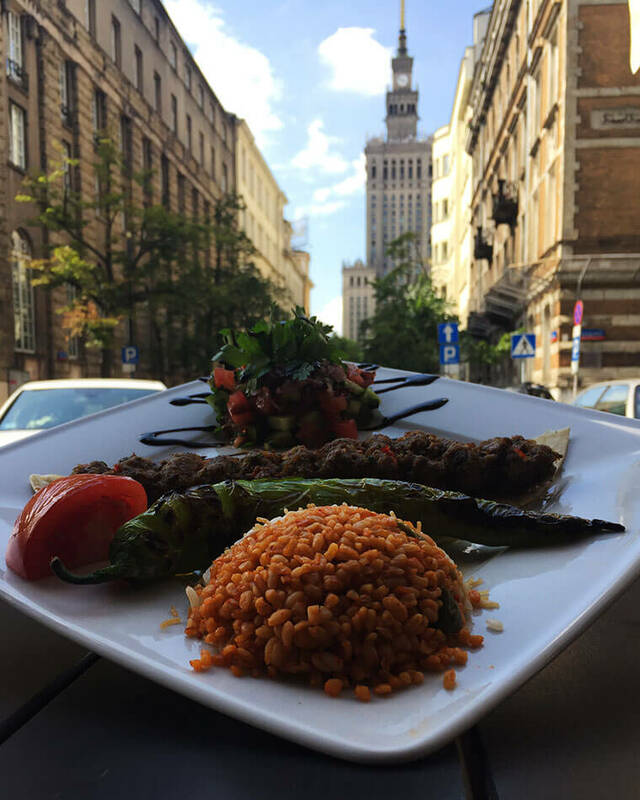 Take your children to Lokanta and enjoy your family meal in a cosy Turkish restaurant in the heart of Warsaw.